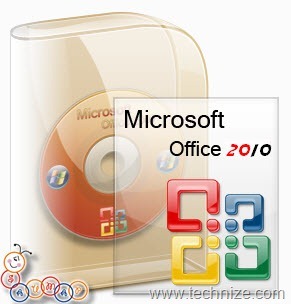 In the previous article, I have given the download of Microsoft Office 2010 RTM. Now I want to talk about Microsoft Office 2010 Proofing Tools Kit. Microsoft Office Proofing Tools Kit is a add-on pack for Microsoft Office which contains different additions to Microsoft Officelike fonts, spelling and grammer checkers, additional Autocorrect lists, Autosummarize rules, translation dictionaries, keyboard layouts and support for Asian languages etc. It also comes in two versions, one is for 32 bit and the other one is for 64 bit computing. The download links for Microsoft Office Proofing Tools Kit which is 560 MB are given below. The downloads are magnet torrent links which can be opened with any Bit-torrent client like utorrent. You may also be interested in Microsoft Office 2010 activation crack for 6 months. How to Troubleshoot Microsoft Word 2007? Links do work if you have a bit-torrent client like utorrent installed. Kindly try to download and install utorrent first and then click on the links. The downloads will start in utorrent. That would be “grammar” not “grammer”….
? ???? ? ???? Office 2010 RUS, proofing tools ?????????????? This add-on are compatible with Ofice2010 Proffssional Plus??? Os links não estão funcionando!!!! Install Vuze soft first! After the link for download will be done! Soon Microsoft will oblige every customer to buy pages, printing facilities and other components of its product, for example Word, Excel, for extra sum each time user will need them. Its making a money out of sky. Till then use it and don’t worry.